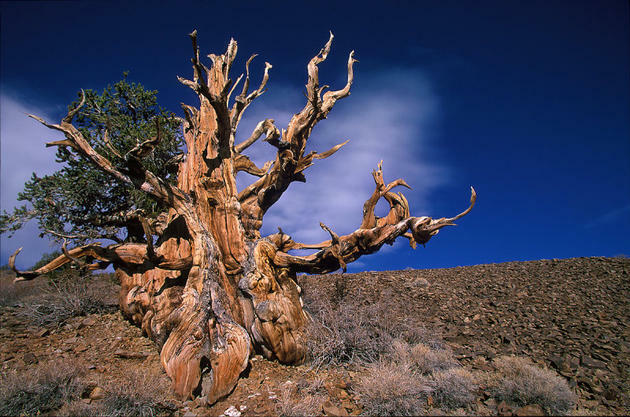 The oldest individual clonal tree in the world is believed to be 9,550 years old (carbon-dated)! 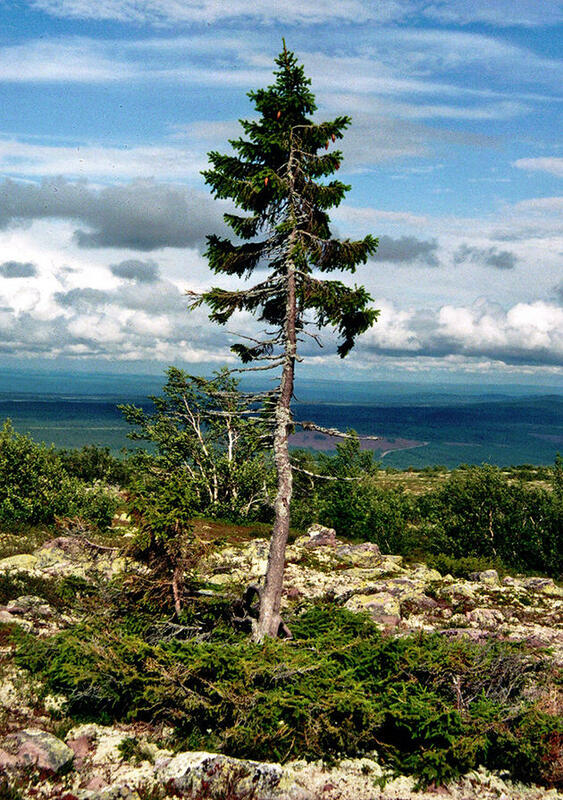 This Norway Spruce is located on the Fulufjället Mountain of Dalarna province in Sweden and was discovered by a professor of Physical Geography, Leif Kullman. The tree has been nicknamed "Old Tjikko" after his dog. 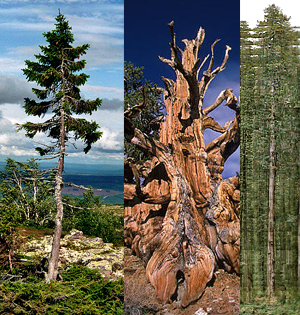 The Old Tjikko is is currently the oldest single-clonal tree in the world at 9,550 years old. At first sight, this 5 meter (16 feet) tall tree might not strike you as the oldest known living organism, but don't let its size fool you! Over thousands of years this fella has successfully adapted to every climate change that has effected the area in which it resides. It's believed that the reason why this tree has survived for so long is due to two processes: vegetative cloning and layering. During vegetative cloning, the tree trunk can die every few hundred years (~600 in this case), but the root system can live on for thousands of years. Layering occurs when one of the branches touches the ground and eventually "turns into a root". Old Tjikko is located on the Fulufjället Mountain of Dalarna province in Sweden (approximate location on the map). Methuselah is a type of pine tree growing high in the White Mountains of Inyo County in eastern California. It got its name after one of the longest-living characters in the Bible, who lived to be almost 1,000 years old. Metheuselah is the oldest non-clonal tree in the world at 4,845 years old. Metheuselah is located in the White Mountains of Inyo County, eastern California (approximate location on the map). Hyperion was discovered on August 25, 2006 by naturalists Chris Atkins and Michael Taylor in a very remote region of Redwood National and State Parks (California, USA) and is believed to be approximately 700-800 years old. Explorers say that the tree could have been possibly taller than 380', but due to woodpecker damage at the very top it is currently measuring in at 379' 4". 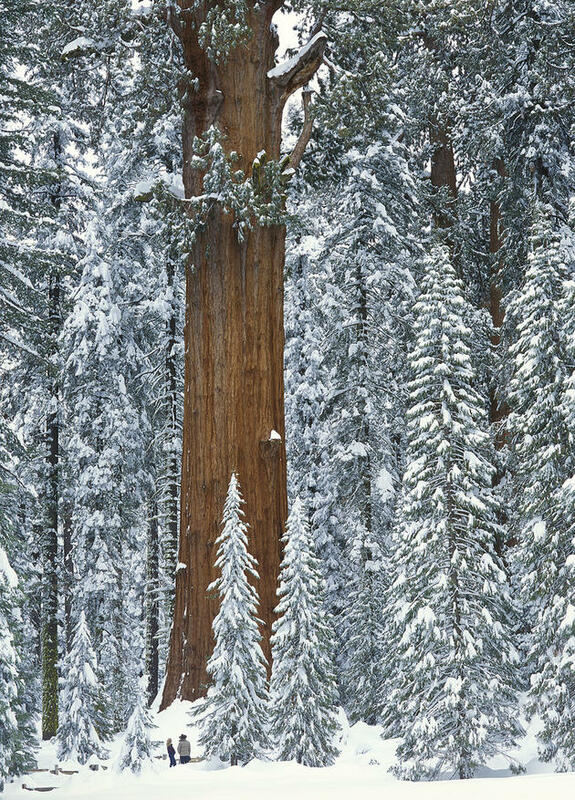 Although several other trees have been recorded to be taller than this giant, most of them have fallen to mid/early 60's heavy deforestation of the Redwood region. In fact more than 90% of state's ancient forests have been logged during those times until 1978, when the area was purchased and extended into a National Park. People speculate that thousands of trees – some even larger and taller than the Hyperion – were cut down during the 24/7 logging shifts of 60's and 70's. 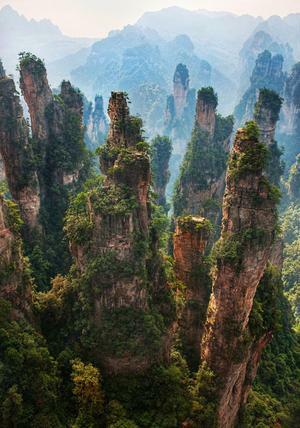 As with all of these rare trees, the exact location is held in secret and only 3 groups of people were ever able to find it and document it. Approximate location of Hyperion tree. Unfortunately most of the photos of this tree look like they were taken with a cellphone camera (or a banana – we can't tell), so it looks like we might have to embark on a journey to find this giant and take a good photo of it for you guys. 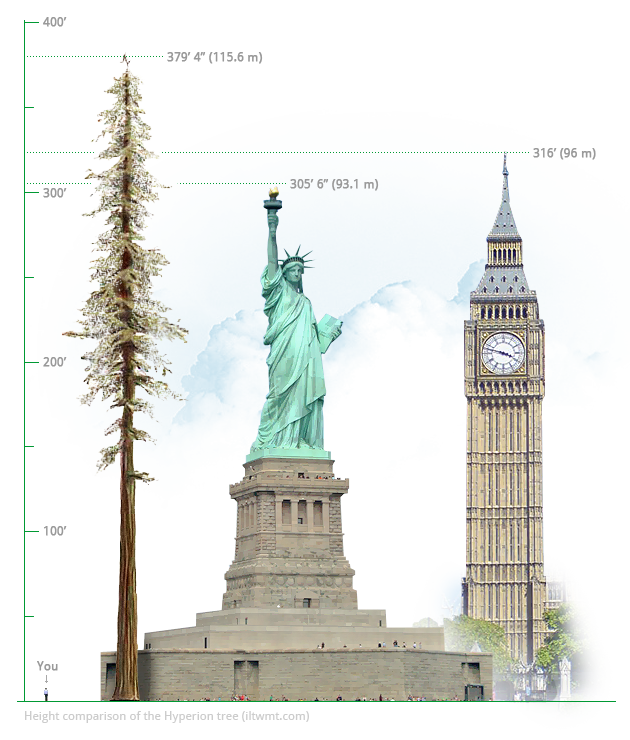 But to give you an idea of just how tall this tree really is, check out the previous "world's tallest tree" title holder – the Stratosphere Giant – which is 10 feet shorter than the Hyperion. Note the 3 climbers in blue. Stratosphere Giant (370 feet tall) by James Balog. Due to such immense size, James had to take a multitude of photos and stitch them together. Just like any other plant, these start off small, so if you want, you can own a fast growing California redwood tree as well! 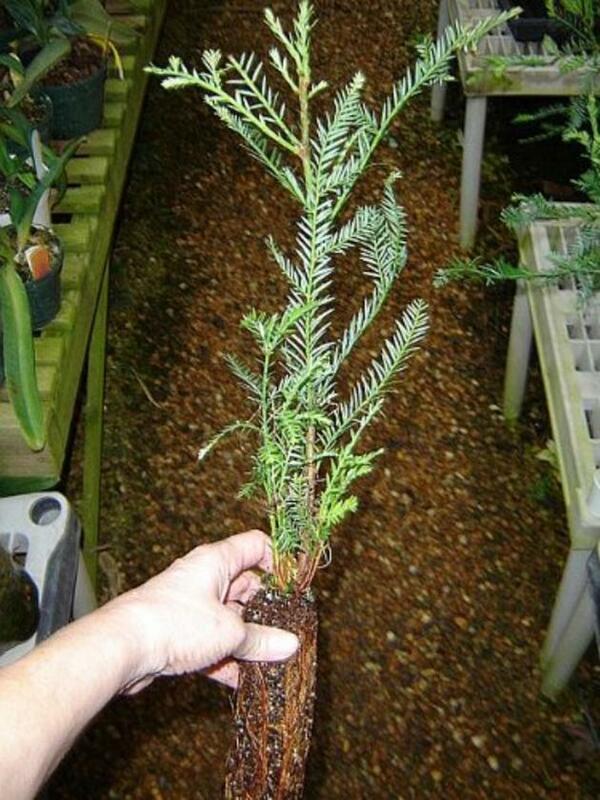 Click here to buy a small sapling of California redwood from Amazon.com ($13.99 + $10.99 shipping) and start growing it in just a few days! 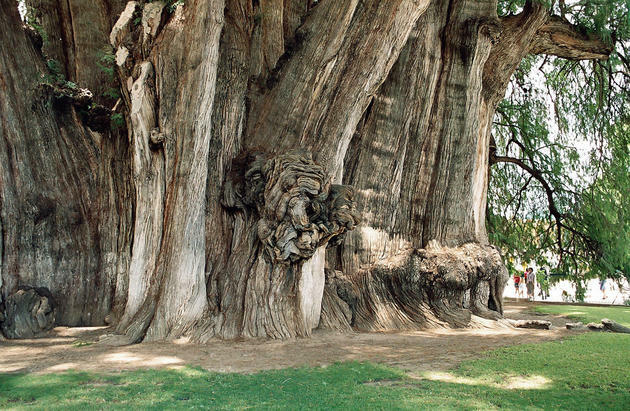 The estimated age of this tree is around 2,300-2,700 years old. It has survived multiple fires, climate change and – thankfully – the modern-day man. 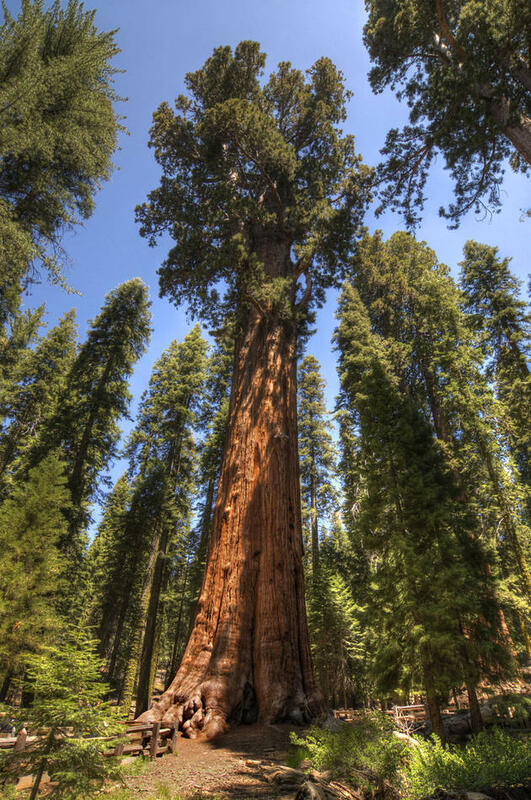 With an estimated weight of about 1,385 tons, 274.9 ft. (83.8 m) height and 36.5 ft. (11.1 m) diameter (at base), this is the fastest growing living thing on this planet! 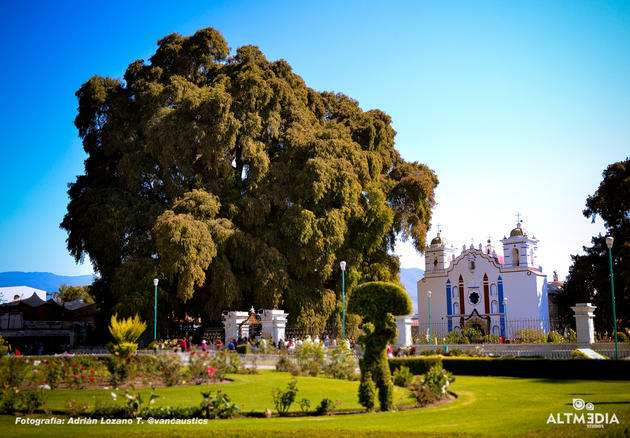 Unfortunately in the early 90's it has been found that the tree is slowly dying due to heavy pollution (8,000+ cars pass on a nearby highway) and water shortage. Can this tree be saved? Considering that it has managed to stay alive for 1,400 years, the answers is yes. Will it be saved? This answer I'll leave up to you. Let's be more conscious of these gifts! To this day, a tree is one of the most underrated living organisms on this planet. In the eye of an uneducated (or ignorant) human being, a tree is just a roll of toilet paper – an every-day object – not a luxury that can be taken away at any time. People who protect and care for them are sarcastically dubbed "tree huggers" and are constantly being put down by the masses. These magnificent living organisms are being destroyed on daily basis. The reality is quite sad and alarming. But together, we can change this! This post has been viewed 686,906 times.